Replacement LED array for Blu Wave curing system, with life expectancy of 15,000 repairs. 360 degree patent pending LED curing Technology . Replacement LED array for Blu Wave curing system, with life expectancy of 15,000 repairs. 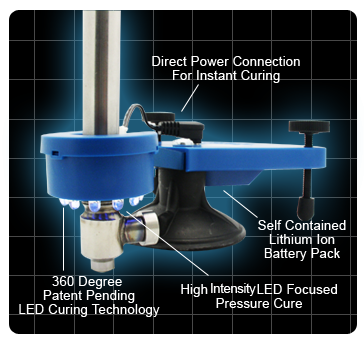 360 degree patent pending LED curing Technology .